Throughout the years, the official The Gathering’s Forum has given the opportunity for fans and musicians from all around the world to make contact and build new relationships, share opinions on music, arts, The Gathering related projects, and of course their own artistic work. In 2007, members of the Spanish section of the forum, decided to give it a try and uploaded a set of cover songs from The Gathering. The “Cycling Colours” tribute albums to The Gathering, are available for stream or free download and aims to hommage a band who in their own words, has influenced their musical taste & direction, and of course has allowed them to do something different on their own musical projects. Bands and members of these albums, belong to very different musical genres, such as goth metal, alt rock, prog rock, industrial, acoustic, etc. The albums include collaborations from México, Spain, Chile, Argentina, USA, France and Norway. This is a permanent project and worldwide fans are welcome to join for future releases. 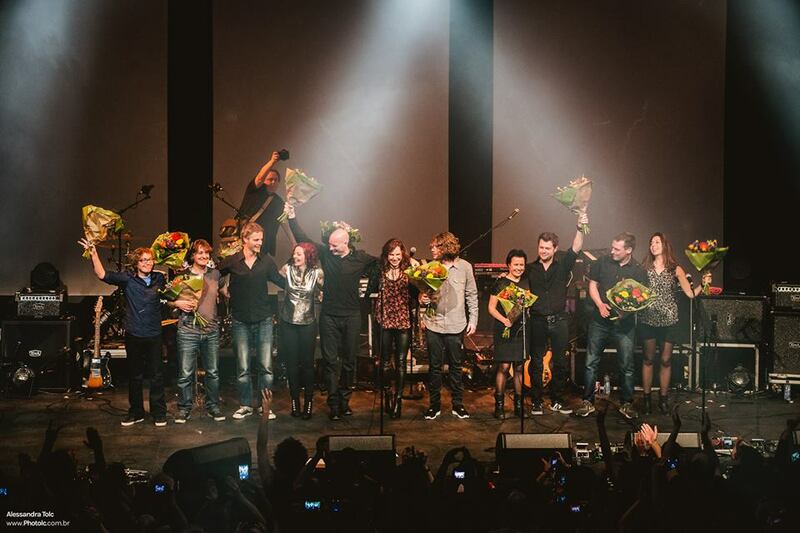 25 Years of Diving into the Unknown – Special Anniversary Show in Nijmegen.